Every year, companies give out millions of dollars in rebates and settlement awards to their customers because of class action lawsuits. We’ve gathered a list of current top class action lawsuits with cash payments that you still have time to file a claim for. If you like rebates (and free money) you should definitely consider filing for these. To understand how class action lawsuit rebates work, it helps to think of them as mail in rebates that sometimes the products you buy at the store come with. In both cases, you’ll have to file a claim form, send it in and wait for the money. The main difference is the reason for the rebate. With normal store rebates, you buy the product for a specific price, then you can fill out a rebate form in order to get a small percentage of what you paid back. Either way, class action lawsuit money, in most cases, it’s like free money for you. Here are some of the top class action lawsuits of 2107 that you can still file a claim for to get compensated. Who’s eligible: Consumers who purchased or used certain WEN Hair Care products between November 1, 2007, and September 19, 2016. Who’s eligible: Consumers (only for Californians) who between January 22, 2009, and July 8, 2014, purchased Proactiv products and were automatically enrolled in their delivery and automatic renewal billing and as a result were charged for extra products beyond the initial purchase.? Who’s eligible: Customer who purchased or received, not for resale, a new Kenmore Grill with a galvanized steel firebox bearing one of the model numbers 01566, 03495, 16142, 16154, 23673, 23676, 23681, 23682, 23683, 23766, 34172, 34176, 34178, 34308, or 34611, manufactured between October 1, 2011 and September 30, 2014. Who’s eligible: Anyone who purchased certain SVG Products between November 14, 2010, and October 12, 2016. Who’s eligible: Cardmembers who, between June 2009 and the present, had their points forfeited after closing their credit-card accounts. Who’s eligible: Anyone who purchased a Restore Product (Deck & Concrete Restore, Deck Restore, Concrete Restore, or Restore 10X) from January 1, 2008, through October 20, 2016. Note: This case is still going, but you can sign up to receive notification once the website for claim forms is up. Who’s eligible: Consumers who purchased or leased 2.0 liter diesel models. Potential payout: Cash payment and (a) have Volkswagen buy back your car or (b) accept the Approved Emissions Modification. Who’s eligible: Customers who purchased or installed Solar Tiles, purchased a property on which Solar Tiles were installed, rented a property on which Solar Tiles were installed, or paid to remove and replace a Solar Tile system. Who’s eligible: Customers who had their Electrolux dryer (includes brands like Frigidaire, Kenmore, and Gibson) caught on fire after December 15, 2014. Note: On the claim form page, they mention two deadlines. One has already passed and was for a separate part of the lawsuit. This one has a deadline of 2022 and is only for the dryers caught on fire settlement. Who’s eligible: Patients affected by 2012 data breach. Who’s eligible: Anyone who owns a property with GAF Timberline® Roofing Shingles made between 1998 and 2009. Who’s eligible: California residents who paid a flat fee early termination fee between July 23, 1999, and March 18, 2007. Who’s eligible: Consumers who purchased an uncoated Coleman, York, Luxaire, Fraser-Johnson, Dayton, Guardian, Champion or Evcon brand copper evaporator coil between January 2008 and November 22, 2016. Who’s eligible: Customers of Alliance United from June 16, 2011, to Dec. 27, 2015, who paid a renewal billing fee. Who’s eligible: Anyone who purchased certain Johnson & Johnson Bedtime Bath Products between July 1, 2010, and August 31, 2016. Who’s eligible: Any customer who purchased or leased 3.0 liter diesel models. Who’s eligible: Consumers who purchased or leased certain 2005-2010 Tacoma models, 2005-2008 Sequoia models, and 2007-2008 Tundra models. Who’s eligible: Consumers who received automated calls from RCN between April 1, 2011, and November 1, 2016. 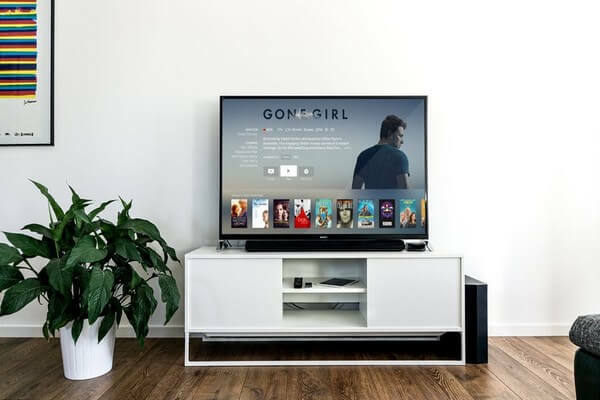 While individual cases are unique and have their own rules and guidelines, there are certain things that are universal when it comes to class action settlements. This is probably the biggest concern most people who file a claim have. Normally, claim checks are mailed to you within 30 to 60 days after the claim period ends. It doesn’t matter what the product or service behind the lawsuit is – it could be milk or a car – the checks are sent out usually within that time frame. With many of these settlements, in order to file a claim, you have to provide a proof of purchase (i.e., receipt). But there are some that don’t require proof of purchase. You can find this information usually on the claim from itself or the website made just for that settlement. There are times when you haven’t been personally effected by whatever fault the company is being sued for. Even in those cases, file the claim, get the money and donate it to a charity of your choice. If you don’t to that, the money will be given to another class member or to a charity which is chosen be the plaintiffs. So, the money is gonna be given away no matter what. You may as well take it and give to a good charity that you know is doing good work. Make sure to file the claim as soon as possible. As you can see these settlements have a deadline for filing a claim. You don’t want to miss out on any potential award that you are eligible for. 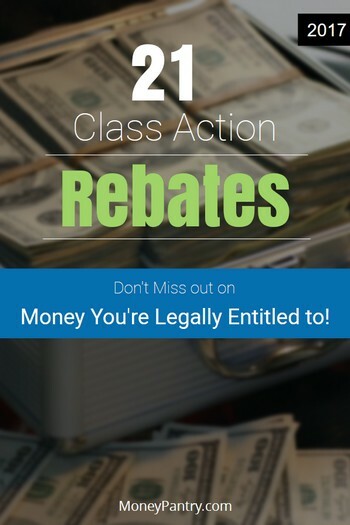 Also be sure to bookmark this page as I will be updating this post with new class action settlements and rebates.